What is good credit? What is bad credit? How important is your FICO® score? How can you enhance your credit? How can you ruin it? How can your credit score affect your life? Read: What You Need To Know About Credit. Basic dos and don'ts that can make or break your new home loan – and save you money on interest payments. Read: Credit Tips for Home Buyers. Building credit and a high credit score can take a long time. If your child is ready, here's a guide to jump-starting the process for your child. This can save them thousands of dollars, and get them off to a great start. Read: How to Help Your Child Build Credit for Car Loan. Think you know your credit score? If it's a free credit score, it's not the same score used when you apply for a home loan. The difference can be critical to qualifying and to the interest rate you're offered. The Bakers were shocked to learn their credit scores were suddenly 50 points lower. Mortgage denied. The Baker’s story is not unusual. So what happened? Read: How To Remove Dispute Wording from Your Credit File. This article is for those just starting out. Or those not just starting out who have never had credit or haven't used credit in many years. The result is lack of credit history which causes low credit score and no home loan – or a unnecessarily high interest rate. Read: How to Establish Credit for a High Credit Score. What causes my credit score to go down? What is a good credit score? Who can see my credit score? Read: Answers to Frequently Asked Questions About Credit Scores for Home Loans. We've had a lot of questions and problems about these "solutions." Here we try to lay it out for those looking to buy a home. 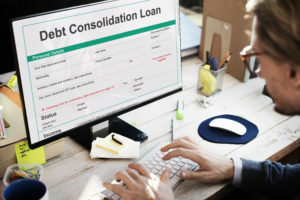 Read: Debt Consolidation and Debt Settlement: What You Need To Know.